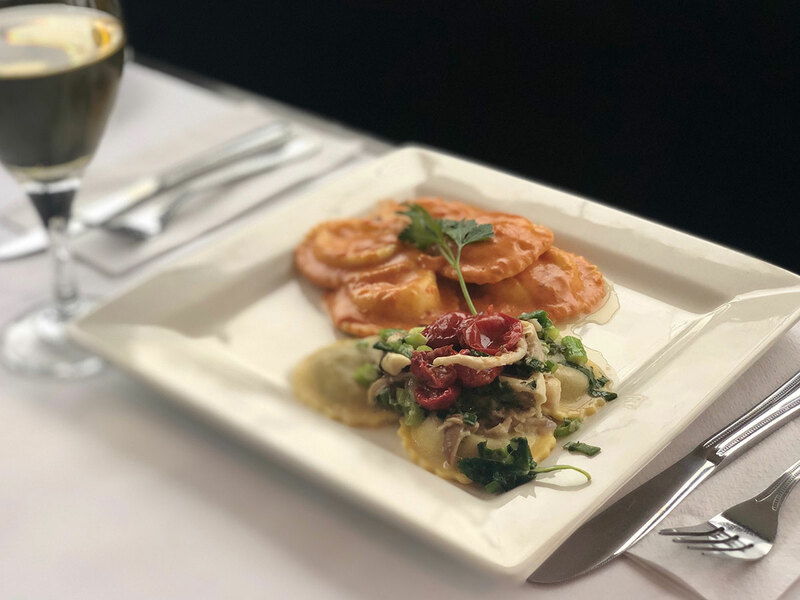 For the month of February, Ottavio is offering you a duo de Raviolis. The first is stuffed with mushrooms and draped in melted butter, basil, white wine and parmesan and then topped with sundried tomatoes and Oyster mushrooms. The second is stuffed with a mouth watering 6 cheese blend and coated in our delicious home made rose sauce.